Your feelings cannot be the only factor when attaining your dreams. You are going to have to push through and DO IT ANYWAY. This kind of discipline and consistency will yield the results of your dreams. What you believe deep down in your heart, is what you will manifest in the physical reality. If you believe you cannot achieve a specific goal, it will NOT come true. We have to stop whining and allowing our feelings to control our beliefs. We only have so much energy to exert in a day…spend it on the activities that will eventually yield the results you are wanting to attain. When you start taking REAL action, you will build your belief system. Use your feelings to guide you, not control you. 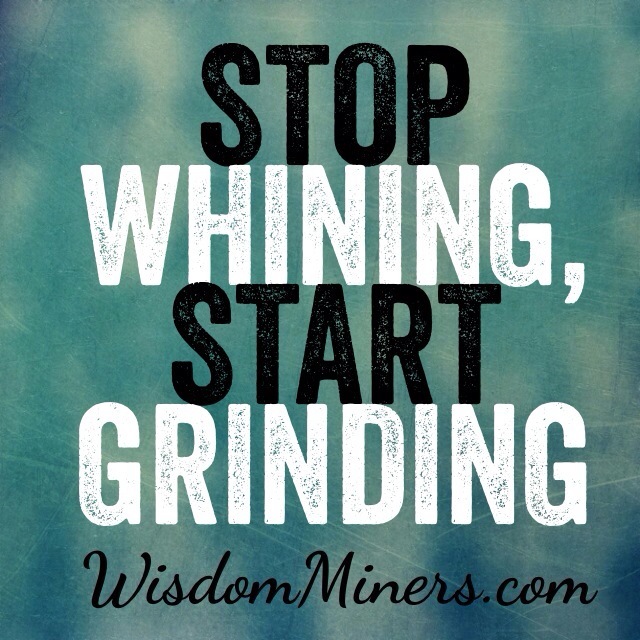 Sometimes you need to stop whining and start grinding! Let me know what you think about STOP WHINING & START GRINDING in the comment section!